I loved this book.Well written and left me with lots to think about I loved the extracts from the how to fail podcasts as I had listened to them all so it gave me more of what I had enjoyed so much.Well done Elizabeth and you have restored my faith in that honesty is always the best policy as is celebrating and accepting human failures. A brilliant book. Beautifully read. Thank you Elizabeth for sharing your funny, sad, amazing stories with us in this book. They have really helped me come to terms with how I see my life and how I deal with success and failure. I love your podcast too! 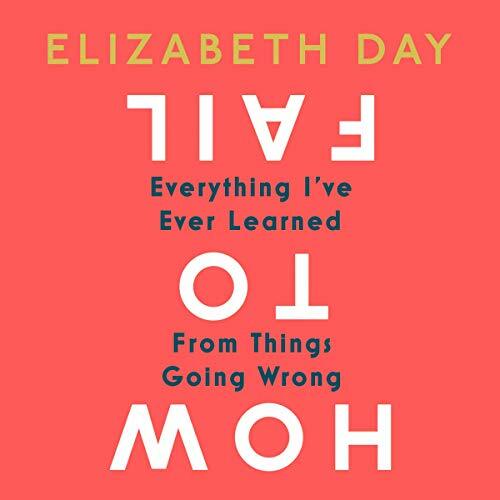 I love Elizabeth Day and have read all of her books to date and listened with joy to the “How Not To Fail” podcast. Elizabeth has a refreshing honesty and describes matters in a very down to earth and matter of fact way. In a world teeming with superficiality, it is refreshing to have some good old fashioned realness. She is also a brilliant writer (all of her books are brilliant) and has a genius way of describing situations in a witty and relatable way. I would highly recommend this book, and everything else Elizabeth does!